I was wondering why this website received so many hits recently... 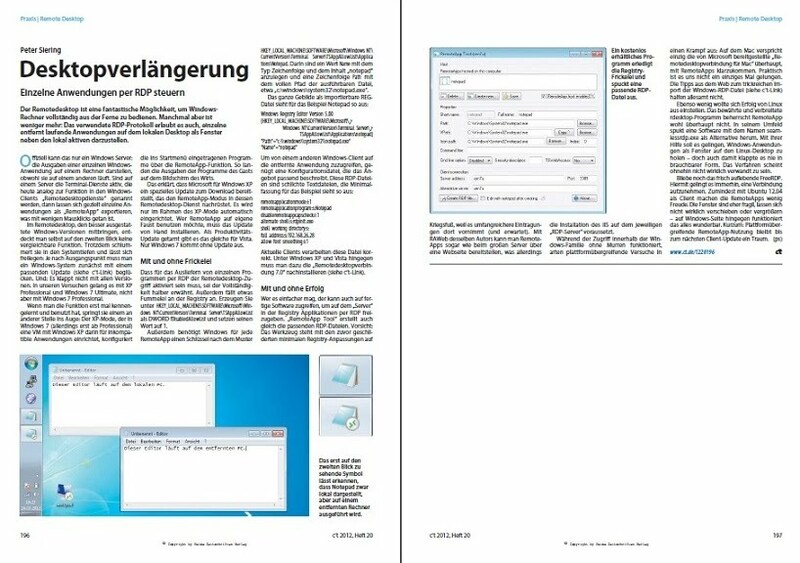 Turns out that my apps RemoteApp Tool and RAWeb feature in C'T magazine (German) - The most subscribed computer mag in Europe! Thanks C'T!